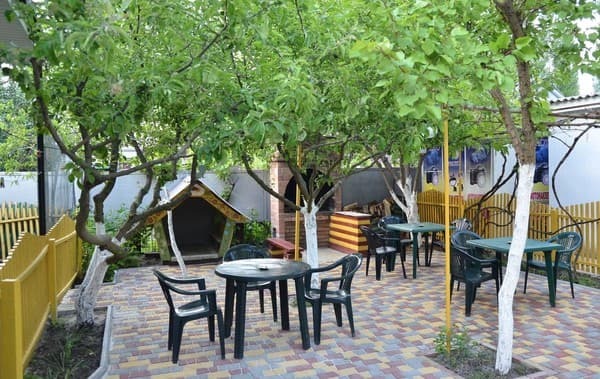 Mini-hotel "Jasmine" is located on the coast of the Sea of ​​Azov in the city of Berdyansk on the eastern shore of the Berdyansk Bay. Distance to the beach is 300 meters. There are comfortable rooms with air conditioning and free Wi-Fi. The rooms are renovated in warm colors, decorated with paintings and accessories in the oriental style. A bathroom with all necessary accessories, a fridge and satellite TV are in every room. 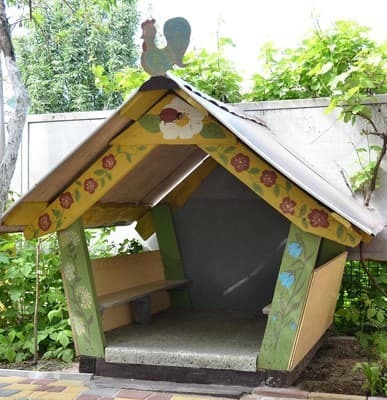 An extra bed is available on request for a child or an adult. In the garden there is a cozy terrace. 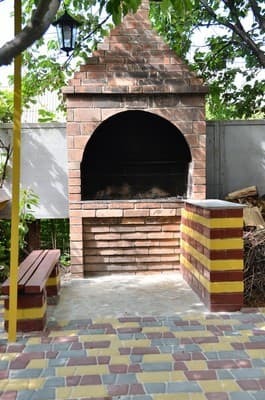 There is a brazier where you can prepare shish kebabs. As an additional service, vacationers are offered free parking, accommodation of pets, laundry. The mini-hotel has a kitchen and dining area where you can prepare meals yourself and use it. Nearby there are shops to buy food. Nearby is the Berdyansk Zoo, Dolphinarium and Water Park. Near the hotel there is a bus stop, with which buses are regularly sent to the center. Description of the room: The room has a double bed and a single or three twin beds. Allowed to stay children of any age. All children under 5 years old using existing bedding is provided free of charge. When all older children or adults are accommodated on extra beds, they are provided free of charge. The maximum number of extra beds in a room is 1. No baby cots available. Extra beds are available upon request. A confirmation from the administration of the object is required. The hotel has a kitchen for self-catering (free use). 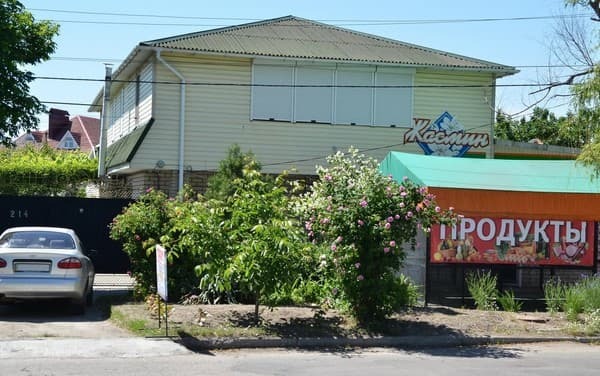 To the nearest cafe from the hotel 50 m.
Mini-hotel "Jasmine" is located on the coast of the Sea of ​​Azov in the city of Berdyansk on the eastern shore of the Berdyansk Bay. Distance to the beach is 300 meters. From the train station by shuttle to the hotel.